We accept payment through Paypal. You don't have to have a Paypal account to process your order for payment. Thank you! Like us on Facebook for more updates on products and sales. We sell 100% goat milk soap (no water added) made cold and hot process. There are no preservatives in our soap. We also sell paraben free goat milk lotion. Our lip balm is petroleum free. We offer the finest products made as natural as possible. All our products are made lovingly in small batches. 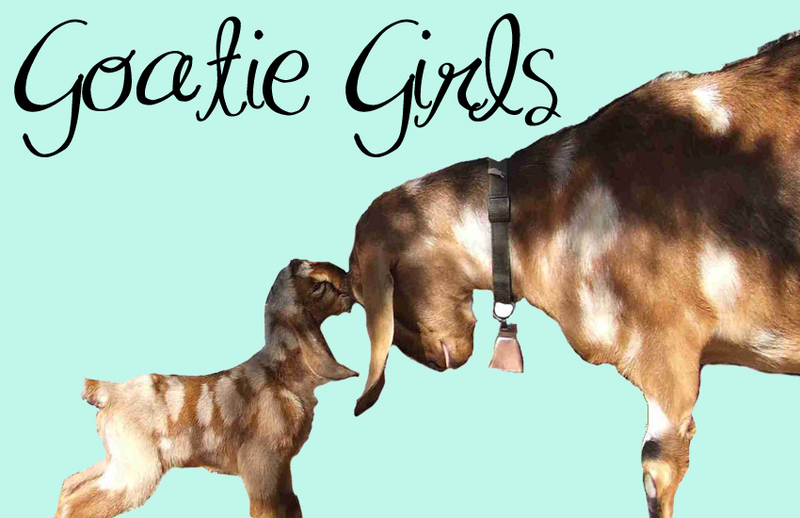 Our labels feature our goatie girls who are the inspiration that started us down this path. Goat's milk is a natural emollient that helps soothe and moisturize the skin. It's a natural alpha hydroxy. It contains vitamins A, B6, B12 and E. Goat's milk has 3 times more beta-casein than cow's milk. Caseins are easily absorbed into the skin and allow for quick hydration of dry skin. The content of triglycerides, capric, caprylic and caproic acid helps balance the skin's natural pH and promotes natural exfoliation of dry skin. It's easily absorbed into the skin.